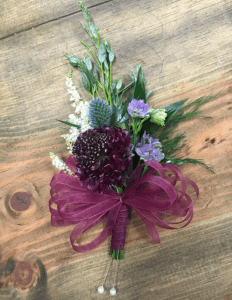 The Garden Talk Salon 2018! Celebrating our 6th season of lectures & demonstrations! 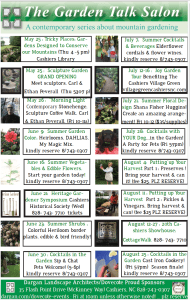 The Garden Talk Salon is rockin’ along this summer! note: usually 10 am Fridays. Please Join us for the 2018 Season! June 1 Garden Gathering! Fit Your Garden to your Lifestyle Like a Glove. Kindly call to reserve : 828-743-0307. June 8 Native Azaleas Lecture & Guided Nursery Field Trip. Kindly call to reserve : 828-743-0307. June 15 Spunky Garden Vessels: Window Boxes, Accent & Stately Pots. Kindly call to reserve : 828-743-0307. June 29 Creating New Plants! 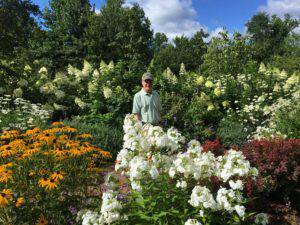 Edmund Taylor, Horticultural Guru, in the Daylily Patch at Dovecote! Kindly call to reserve : 828-743-0307. July 6 Art Flag Tour : The Village Green Commons 10 am. The VIllage Green Plein Air Art Flags herald the advent of the Cashiers Plein Air Festival to benefit the Village Green. Come for a walk about to enjoy the works by local artist, curated by Mary Palmer Dargan, Art Flag Chair. July 6 Reception at 4-6 pm. 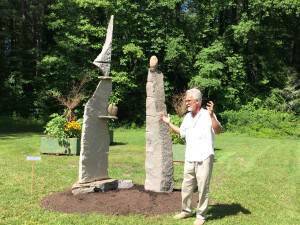 Carl & Ethan Peverall : “Soulfully Beautiful Works of Art in Stone”. Kindly call to reserve : 828-743-0307 (FREE RECEPTION at Dovecote ) Dovecote/Dargan Landscape Architects 35 Flash Point Drive Cashiers, NC. Kindly call to reserve : 828-743-0307. 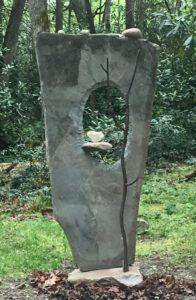 Carl and Ethan Peverall, a father and son co-creating partnership, are our personal favorites for large scale, soulfully beautiful works of art in stone. 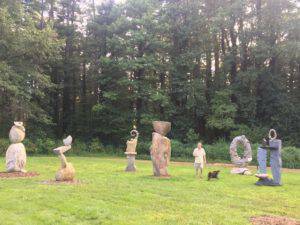 After having lived with their sculpture for years on our own property, I simply love what they do. 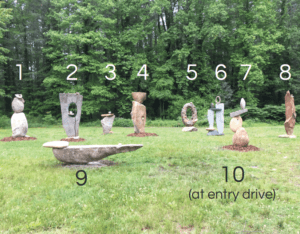 Please join us Friday, July 6 from 4-6 for a reception honoring their 5th annual installation of new works here in our Dovecote garden. 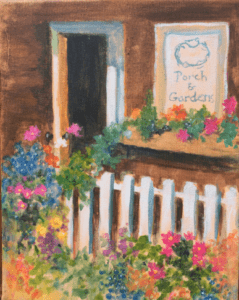 July 20 Art in the Garden: Paint Dovecote’s Garden. Kindly call to reserve : 828-743-0307. July 27 WineMaking from your Garden. Kindly call to reserve : 828-743-0307. 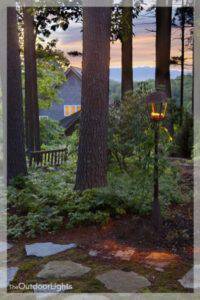 August 2 Light Up Your Gardens Life SPECIAL EVENT: Chris Wakefield, lighting guru extraordinaire! of The Outdoor Lights . Kindly call to reserve : 828-743-0307 TIME TO BE ANNOUNCED Kindly call to reserve : 828-743-0307. August 10 Pickles from your Garden Kindly call to reserve : 828-743-0307. 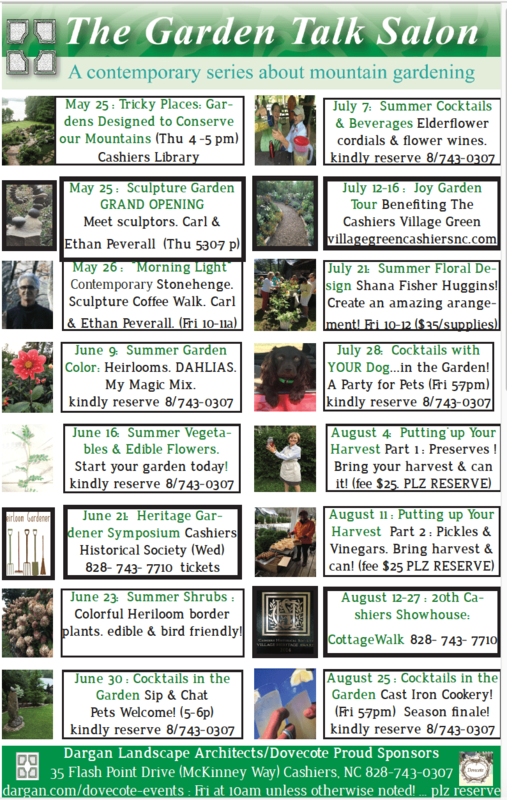 August 17 Preserves from your Garden Kindly call to reserve : 828-743-0307. August 24 Planting for the Fall Garden Kindly call to reserve : 828-743-0307. 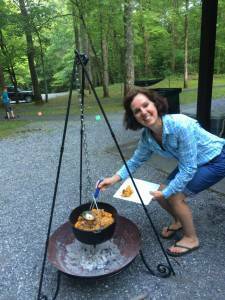 August 31 Cast Iron Cooking Demonstration & Luncheon! Kindly call to reserve : 828-743-0307. 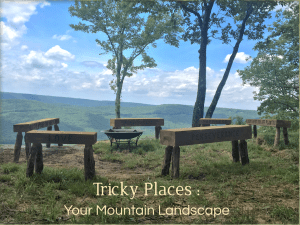 We started on May 25 with Tricky Places : Stewarding Challenging Mountain Landscapes, the title of our next design book. 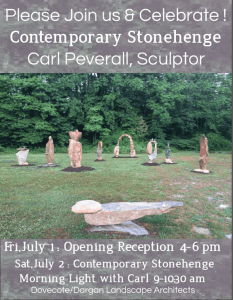 That afternoon reception was held at the Grand Opening of Carl Peverall’s Fabulous Contemporary Stonehenge – 4 sculptures immediately found a new home. 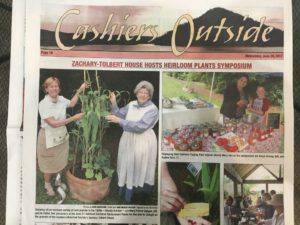 Workshops featuring heirloom plants with Summer Garden Color, Vegetables & Edible Flowers preceded The Heritage Gardener Symposium (chaired by Mary Palmer Dargan) at Cashiers Heritage Society’s Zachary-Tolbert House on June 21. Summer Shrubs & Cocktails in the Garden (with your DOG) followed with fun FIDOS! 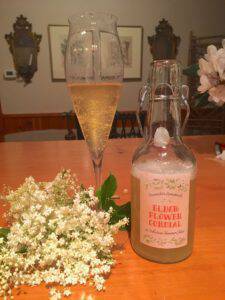 In July, our Summer Cocktails & Beverages Workshops featured Elderflower cordial making with an explosive impact! 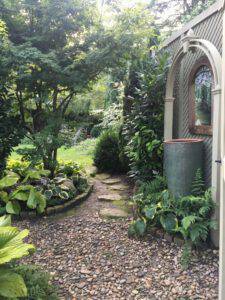 Next, the biannual Joy Garden Tour, which provides greatly needed funds for The Village Green, showcased two Dargan Gardens : The Valenta Garden in Wade Hampton & The Hayes Fairchild Memorial Garden in the heart of The Village Green. 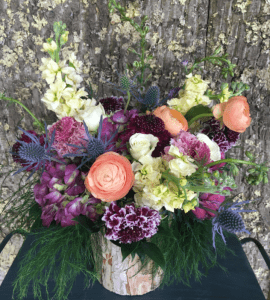 Then, the WOW…Shana Fisher Huggins, landscape architect and floral designer, presented a floral design workshop…standing room only… everyone went home with an arrangement of their own design. 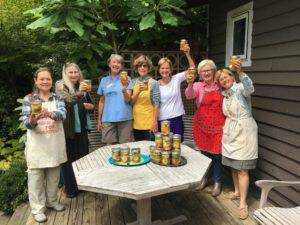 Our workshops follow the season, so Bottle-Up & GO! was the mantra for the first two Friday events in August. Pickles and Plum preserves (from heritage stock) were literally pressed into service…folks, this is a craft AND art form! The second week we MADE BLACKBERRY WINE…and pickled. 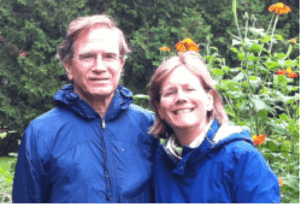 Enjoy al fresco experts, Hugh & Mary Palmer Dargan, as they ‘lay on’ a final luncheon feast for the Garden Talk Salon. Using a Cook Stand Table to prepare pies in cast iron & a tripod campaign-cooker to make ‘kilt greens’ and grape leaf- wrapped trout, this workshop is not to be missed. Cost $25 for supplies WHICH INCLUDES LUNCH !!! 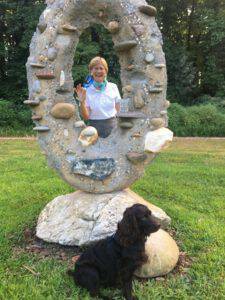 August 25, 5-6 PM Cocktails in the Garden with Fido! Yes, Little Henry invites his canine friends – and their owners- for a special visit. Afterwards we will matriculate over to the Village Green to enjoy a dance band. FREE. Coming in October 2017….Carl & Ethan Peverall Return for the GREAT UNVEILING!! Stay Tuned! A party and tour are proposed. Please enjoy this video play list of Carl & Ethan working. Pets always welcome. Being a chair if you wish to go to Groovin’ with us. We kicked-off the Season with a lecture & reception! 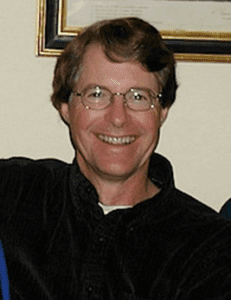 Carl & Ethan Peverall Returned! 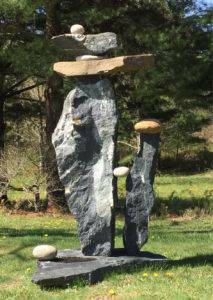 Internationally renowned father & son sculptors, Carl & Ethan Peverall, create atmospheric stone works of art. Open 9a-6p, the collection is best viewed in morning & evening light. Please view the playlist of videos from this event! Peverall Statues are for sale. Please click image for price list. OUR THEME THIS SUMMER : The Heirloom Gardener: Design a Garden, Grow & Process Plants that Your Forefathers Thrived Upon! Heirloom Gardener , using native and heritage plant materials, garden nutrition. EVENT: June 21 Cashiers Historical Society’s 2017 Jan Wyatt Symposium (Mary palmer is chair), very limited luncheon seats. New Cocktails in the Garden from 5-6 pm, then mosey over to Groovin’ on the Green for the fabulous weekly GCAMA concert at 6:30. 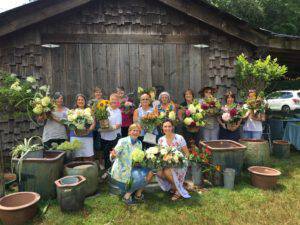 Wildcrafting & Cooking with Heirloom Plants demonstrations. EVENT: Joy Garden Tour 2017 : July 12-16. Several of our gardens are featured; Dovecote moves to booth at The Village Green pavilion July 12-16. Shana Fisher Huggins is an extremely talented, Lake Toxaway native, known for her amazing bridal work. A landscape architect by training, Shana joins the Dargan Landscape Architect design team off-season to hone her skills. 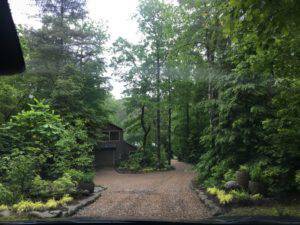 Her shop, The Blossom Jar, in Lake Toxaway is not to be missed and is managed by her mother, Barbara Fisher. 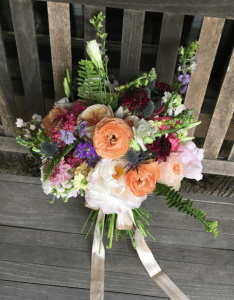 Shana will conduct a floral workshop designed to inspire you! A vase is provided as well as flowers. 2 hours. $35. Preregister by calling 828-743-0307. Very limited seating. 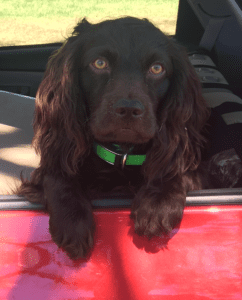 POSTPONED due to Little Henry’s Knee Surgery…TWO SPECIAL DOG EVENTS! 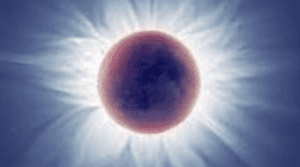 POSTPONED Friday, July 28 10 am Make Homemade Dog Biscuits & Flea Repellent. Pets welcome. POSTPONED Friday July 28! Cocktails in the Garden with your DOG. A Party for Pets. 5-6. Meet Henry (our pup-pup) then mosey over to Groovin’ on the Green for the music. We shall announce more fabulous authors, experts and notable speakers coming to our wonderful program! Why are we sharing this lecture series? Our four 2013-2016 summer seasons featured The Garden Talk Salon with 28 speakers on topics of interest to mountain chic lifestyles. It was waaaay too much fun. Hugh and I moved to Dovecote from Highcote in High Hampton after 16 years and spent 2013 renovating and building the Dovecote gardens. Join us for a lecture! 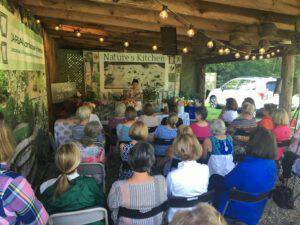 Be sure to subscribe to The Garden Talk Salon (see our signup form on the right) and you will be the first to learn of our upcoming events in Cashiers, NC. Most importantly, you will receive the follow-up videos in case you cannot make the live performances….or for your success library. Nature’s Kitchen. Learn to identify and create delightful meals using the plants right under your feet! Discover wild and native plants that are high in nutritional value, beautiful, delicious and free! 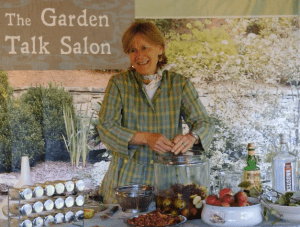 Mary Palmer Dargan, landscape architect, botanist & author, is turning the beautiful garden at Dovecote into a place to learn about edible plants. 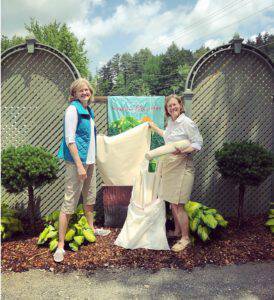 Enjoy 2 foraging feasts ( June 10-12 in the Smoky Mountains) and August 30 at The Village Green with Ila Hatter. Learn about edible plants on walks to pluck choice specimens. Come cook, slice or dice at our summer workshops! 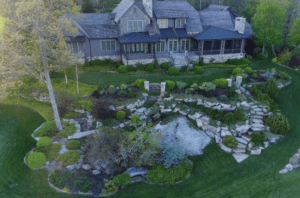 May 27 Nature’s Kitchen: Jeff Zahner’s Edibles in the Garden : Kickoff lecture with introductory overview plus special tea! JUNE 3 Nature’s Kitchen : Wild Salads & Greens Recipes for Health. Dovecote. A special event. Camping and Workshops. JUNE 17 Nature’s Beauties : Mystery Speaker. Dovecote. 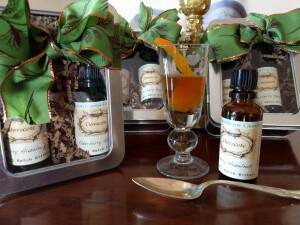 JUNE 24 Nature’s Kitchen: Woodland Drinks & Cordials. Dovecote. 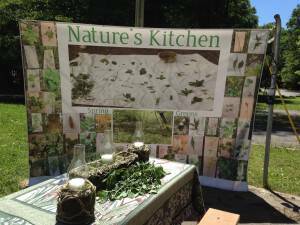 JULY 8 Nature’s Kitchen: Creating Main Dishes with Mystery Chef! Dovecote. July 29 Nature’s Kitchen: Making Sweet Things. Dovecote. August 5 Nature’s Beauties: Ferns with Edmund Taylor & Hugh Dargan. Dovecote. Showhouse. Dovecote Porch & Showhouse shop! August 19 Nature’s Kitchen : Wine Making at Dovecote. Watch below and imagine yourself in our Dovecote courtyard. Join us on this virtual tour! 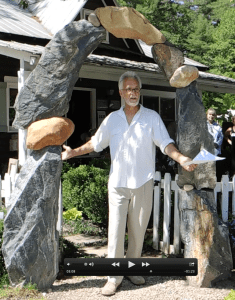 Meet Carl and Ethan Peverall, the designers of our atmospheric stone sculpture. The Peverall father & son team hail from the Mt Mitchell area are no stranger to the Highlands Cashiers plateau. 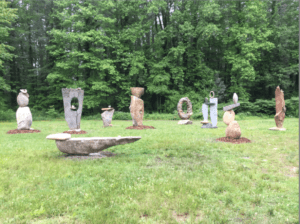 Their large sculptures from natural stone with a variety of shapes and exhibit great power. 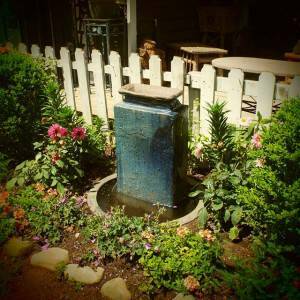 Check out this video on Carl’s beautiful fountain called Water Spirit. To register for events: [email protected], 828-743-0307 or dargan.com/dovecote-events for further details. 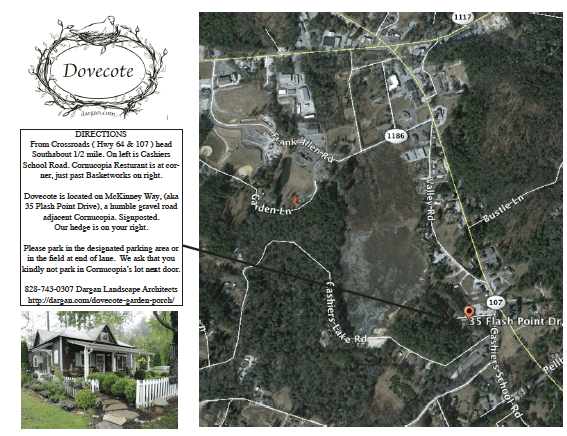 Dovecote is located at 35 Flash Point Drive ( McKinney Way) next to Cornucopia Resturant off hwy 107S in Cashiers, NC.